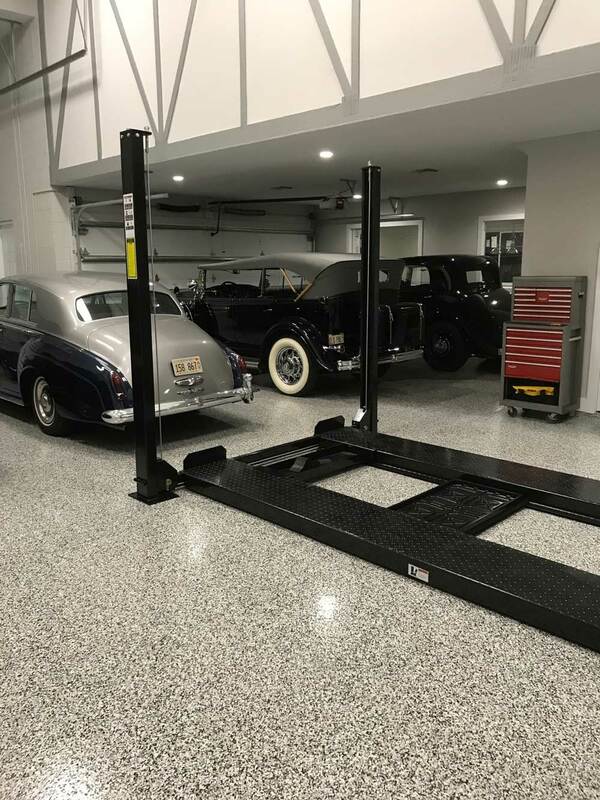 The garage is not just a place to park your car or store your lawn mower anymore. These days, the garage is an extension of your home and as such you want it to be clean, presentable, and multi-functional. 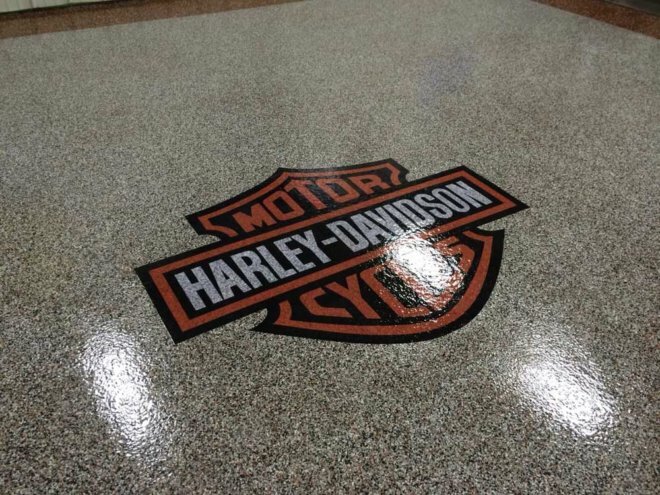 Because of this, Superior Floor Coatings has created a Garage Floor Coating process that is truly second to none. Helping make your garage the best looking part of your home! 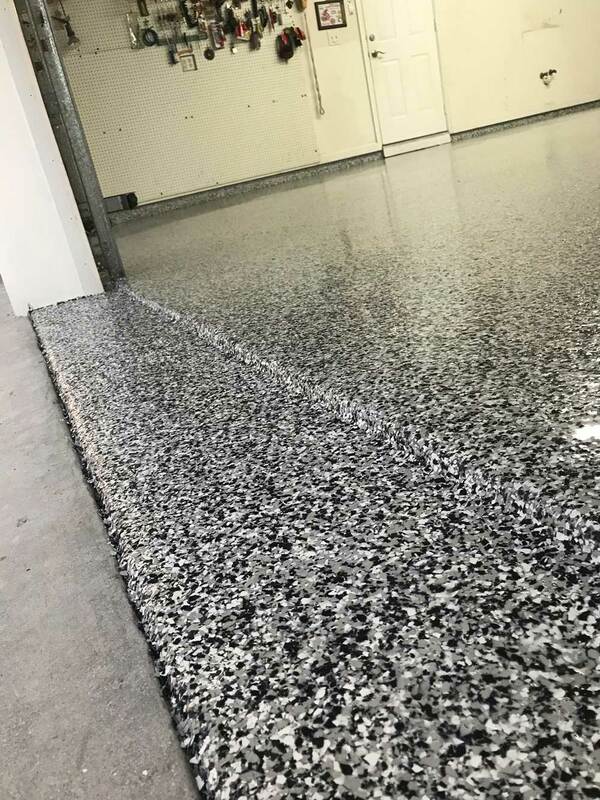 First, our experienced installers will start by removing blemishes to the existing concrete flooring by grinding the entire floor. All of the “prep” we do is dry prep. We do not use any acids or liquids to prep your concrete. Moisture is the #1 reason these floors fail, so we only do dry prep work to ensure that your floor will not fail from unnecessary moisture. We will then patch/trowel all cracks, holes and joints, to create a seamless floor. We then start the first coat of your flooring system. Depending on the floor you choose, this process can take 2-5 days (depending on the number of coats your system requires). Superior Floor Coatings guarantees all of our work and we are 100% committed to your satisfaction. 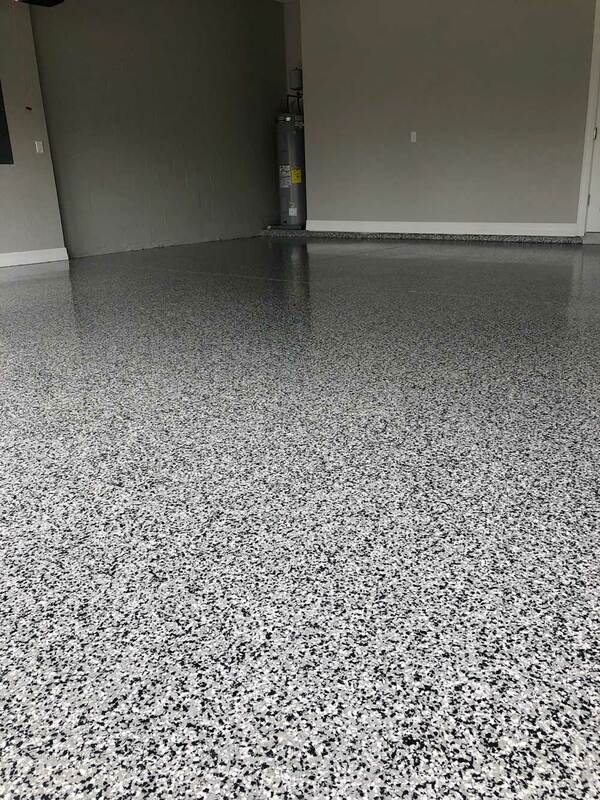 Contact us today to get an estimate for your Garage Floor Coating job and ask about all of our products and services. Our most important commodity is you! We are a small firm and pride ourselves on relationship building. This we feel, sets us apart from other companies. All prices are quoted up front and will never be changed unless new work or special add ons are requested. We maintain a very low overhead and pass that along to you, the client. We stress the word “Pride” all of the time. We not only take pride in our work, but we take pride in being able to offer our Quality floor coating service for very competitive rates. All of our work is guaranteed and we are confident that your satisfaction will make you a customer for life. Please call 772-207-9668, E-MAIL US or CONTACT US for more information or to get started. and our ability to please you, our customer.